Vinner av Holbergs internasjonale minnepris 2007 Ronald Dworkin døde 14. februar 2013. Ronald Dworkin mottok Holbergs internasjonale minnepris i 2007. Foto: Holbergprisen. 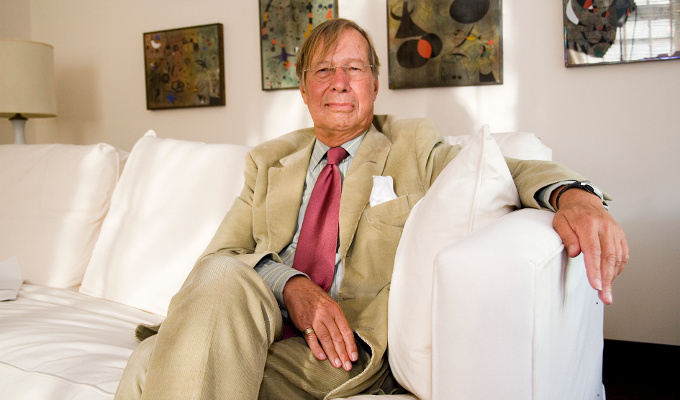 “Ronald Dworkin, an innovative legal thinker who developed a novel interpretation of the moral underpinnings of the Constitution and who became respected in liberal circles for his writings on law, politics and hotly debated public issues, died Feb. 14 in London. Mr. Dworkin, who also taught for many years at the University of Oxford in Britain, went against a century of legal thinking — including the theories of his two most important mentors — to develop a new concept of jurisprudence based on society’s widely shared notions of morality. His idea of “law as integrity” held that jurists should interpret legal cases through a consistent set of moral principles. In other words, law and morality were inextricably linked, which was a subtle twist in legal thinking. Mr. Dworkin’s theories gained a wide following, particularly among social liberals. In one of his landmark books, “Taking Rights Seriously” (1978), Mr. Dworkin rejected the two prevailing theories that had dominated legal thinking in the United States and Britain for most of the century: legal positivism and utilitarianism. Legal positivism maintained that individuals possessed only those rights granted to them through political decisions or long-standing social practices. Utilitarianism suggested that the law should uphold the principle of providing the greatest good for the greatest number of people. By that theory, Mr. Dworkin pointed out, the rights of a minority would always be subject to the will of the majority. The theories had been espoused by H.L.A. Hart, Mr. Dworkin’s onetime professor at Oxford, and by Learned Hand, a federal judge in New York whom Mr. Dworkin served as a law clerk. Nonetheless, he challenged their ideas by charting a new way of thinking about legal principles. In other books, such as “Law’s Empire” (1986) and “Freedom’s Law” (1996), Mr. Dworkin explored concepts of jurisprudence and the Constitution, which he saw as a living document built around abstract moral principles open to changing interpretations throughout history. Mr. Dworkin applied his notions to a series of controversial issues, including abortion, affirmative action, free speech, campaign finance, terrorism, civil liberties and physician-assisted suicide. He became known as a “public intellectual,” writing for the New York Review of Books and lecturing at universities throughout the United States.